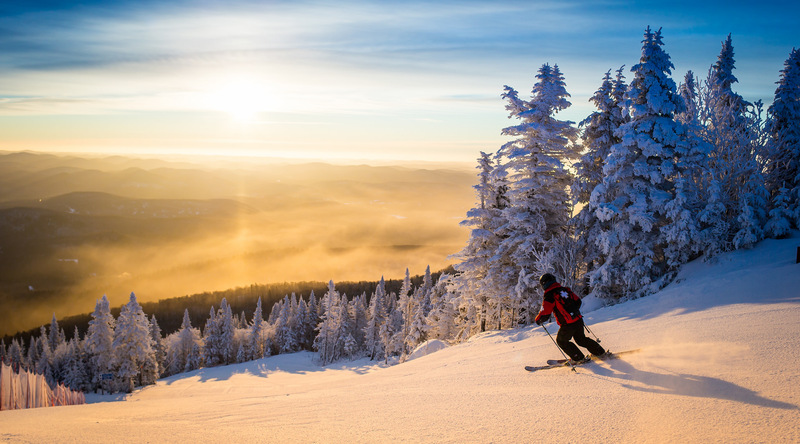 Weather conditions vary tremendously from one day to the next in Tremblant. A run that had beautiful conditions one day can be closed due to ice or icy crust the next day. 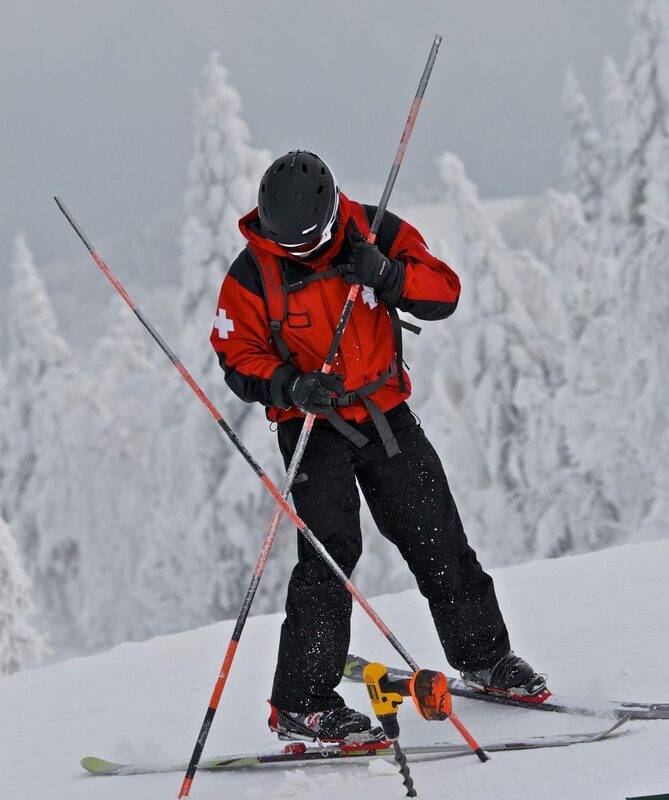 Some hazards can be hard to detect and put skiers at risk on the slopes, especially at the beginning of the season or after a snow storm or important temperature variations. Rocks, tree roots, holes or drainage channels can blend in the white snow. Runs can sometimes be closed because snowmobiles or snow grooming machines are present. These daytime operations are not as frequent, but can be necessary to offer optimal snow conditions. Never enter a closed trail, especially when you see a « Winch cat at work » sign. It is difficult to fully estimate the size of mount Tremblant: there is a huge difference between the bottom and the top of the mountain. Sometimes, temperatures can vary of as much as 5 degrees Celsius between those two points! That is why a run can be open at the top, but closed at the bottom for lack of snow. A run could also be closed because the bottom part of the run doesn’t provide an exit. For example: the Supérieur trail could be nice, but still closed if the snow at the bottom of the Jasey-Jay Anderson trail does not offer enough cover. Going down the hill while visibility is poor can be very dangerous. One of the main causes of poor visibility are snow-making machines in operation. To maximize snow production, snow guns may have to be running for 48 hours straight in certain areas. On the other hand, significant variations in temperature or meteorological conditions can also cause natural fog in some areas of the mountain. These phenomena mostly arise when Lac Tremblant is not yet frozen. In short, always pay attention to signage and never engage in a closed trail. Do not forget, trails are closed for your safety!